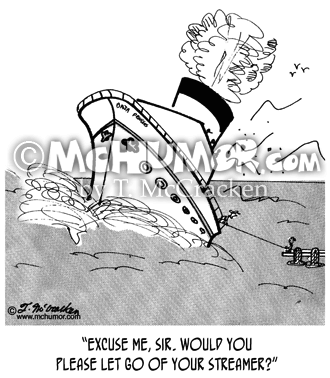 Boat Cartoon 8280: A boat is sinking, but the passengers in life boats are still having fun. 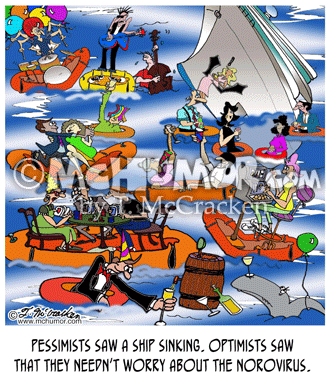 "Pessimists saw a ship sinking. 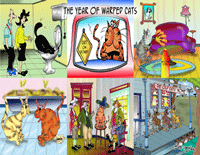 Optimists saw that they needn’t worry about the Norovirus." 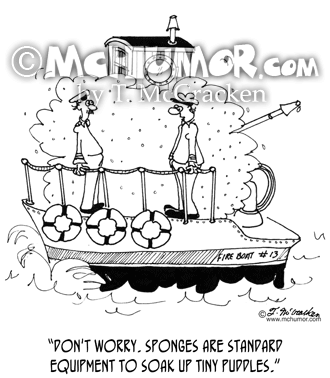 Boat Cartoon 2273: An ocean liner isn't going anywhere because a man on the docks is holding a thin streamer. 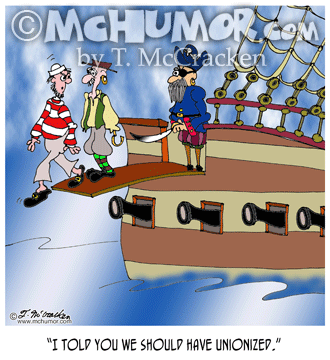 The captain shouts, "Excuse me, Sir. 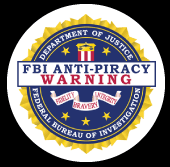 Would you please let go of your streamer?" 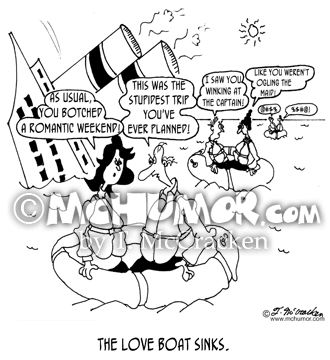 Boat Cartoon 5409: "The Love Boat Sinks." A bunch of couples bicker in life rafts. 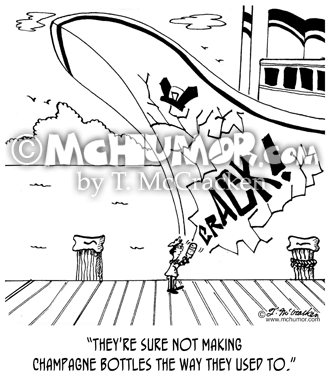 Boat Cartoon 6799: A huge boat cracks after someone christens it with a small bottle. "They're sure not making Champagne bottles the way they used to." 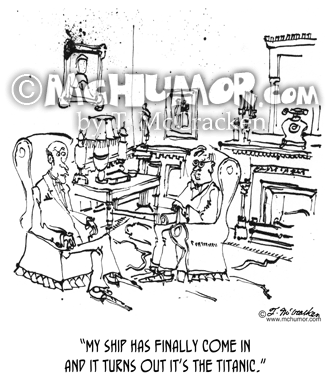 Finance Cartoon 9229: One old gent says to another, "My ship has finally come in and it turns out it's the Titanic." 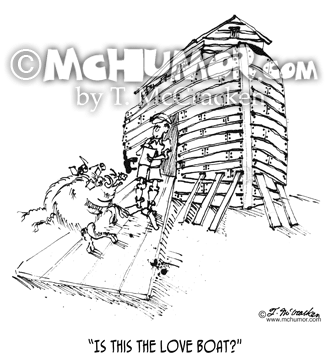 Relationship Cartoon 1035: As wild boars boarding the ark asks the captain, "Is this the Love Boat?" 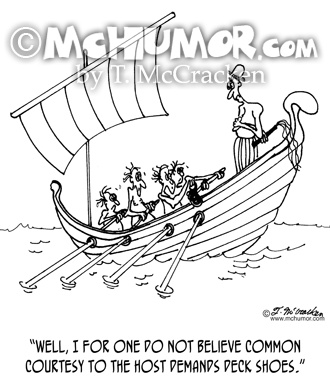 Boating Cartoon 4652: A galley rower to one holding shoes says, "Well, I for one do not believe common courtesy to the host demands deck shoes." 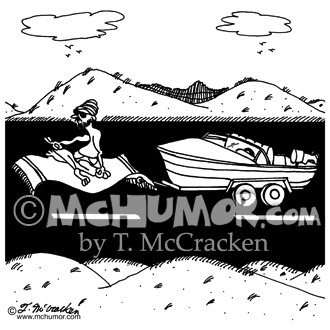 Boat Cartoon 5260: A sultan on a flying carpet towing a boat behind him.